Timeless Blyton magic, now in a short colour easy reader. Explore the Faraway Tree’s magical lands and get your confidence climbing. 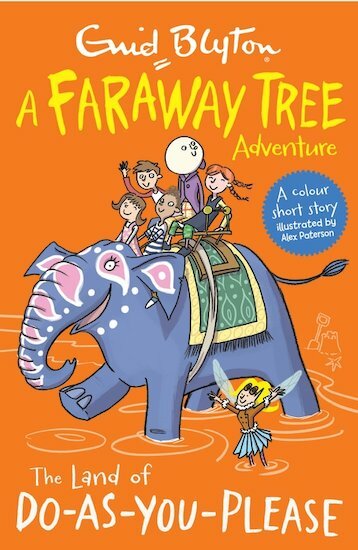 The Faraway Tree looks totally normal – but don’t be fooled. When you climb to the top, it whisks you into all sorts of enchanted lands. Now the Land of Do-as-You Please has arrived at the top of the Faraway Tree. It’s got everyone thinking about the things they most want to try. Joe would love to have a go at driving a train. But Frannie wishes with all her heart for an elephant ride!